Wash problem areas with a gentle cleanser. Twice a day, use your hands to wash your face with a mild soap and warm water. If you tend to develop acne around your hairline, shampoo your hair every day. And be gentle if you’re shaving affected skin. Avoid certain products, such as facial scrubs, astringents and masks. They tend to irritate the skin, which can worsen acne. Excessive washing and scrubbing also can irritate the skin. 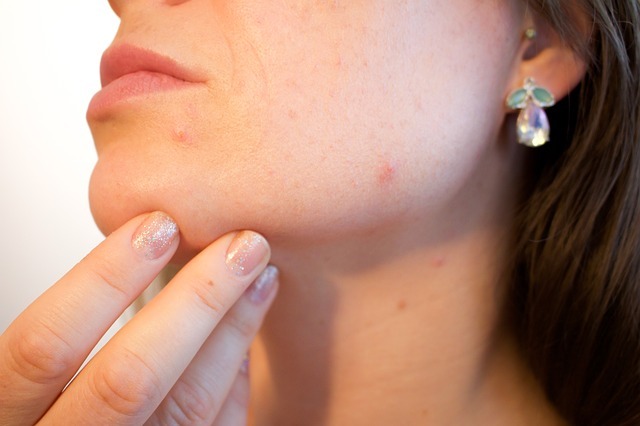 Nonprescription acne medications may cause initial side effects — such as redness, dryness and scaling — that often improve after the first month of using them. Avoid friction or pressure on your skin. Protect your acne-prone skin from contact with items such as phones, helmets, tight collars or straps, and backpacks. Avoid touching or picking at the problem areas. Doing so can trigger more acne or lead to infection or scarring. Shower after strenuous activities. Oil and sweat on your skin can lead to breakouts.